As you know, dearest Filthy Dreams readers, we, here at Filthy Dreams, spent most of the year obsessing about Twin Peaks: The Return. Even after the show’s finale in September, we’ve been stuck in the Roadhouse, haunted by not-Laura Palmer’s final scream and whisper. I still close my eyes and see Laura pulling off her face like a vaudeville act nobody asked for. But, one thing that the Twin Peaks universe always lacked, in both the original series and The Return, was a very special Christmas episode. I’m sure David Lynch didn’t want to fall prey to that ever-present and always cheesy prime time TV holiday trapping. But, imagine what Christmas would have been like with the Palmer family! Laura would be snorting coke and writing in her diary, while her mother furiously smoked and hallucinated a white horse in the living room. And of course, the patriarch Leland would be maniacally dancing around the room as if possessed. Oh who am I kidding…he WAS possessed. Merry Christmas from the Palmers! 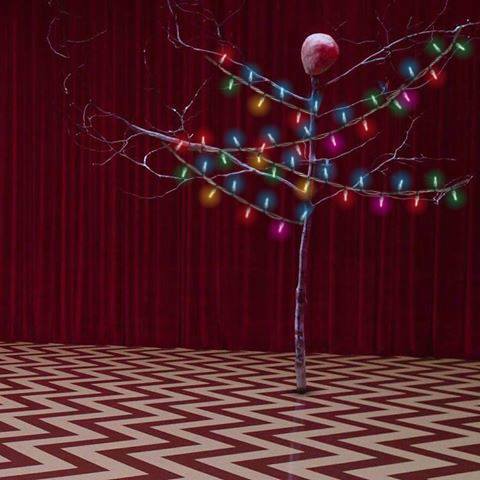 The most festive Twin Peaks ever got was probably in the Red Room itself. With some tinsel and twinkling lights, I’m sure that place could be fixed right up. I’m sure Little Jimmy Scott won’t mind giving “Sycamore Trees” a rest until the new year. Even though Lynch and Frost never gave us a Twin Peaks Christmas, luckily musician Jherek Bischoff came through with some Angelo Badalementi-inspired holiday tunes to send you spiraling into a fugue state this holiday season. Bischoff provides a surrealistic spin on Christmas classics like “White Christmas,” “O Holy Night” and “Silent Night” that will, as Lynch says, “make you dream!” Why envision sugar plums dancing in your head when you can imagine a big heaping bowl of garmonbozia? 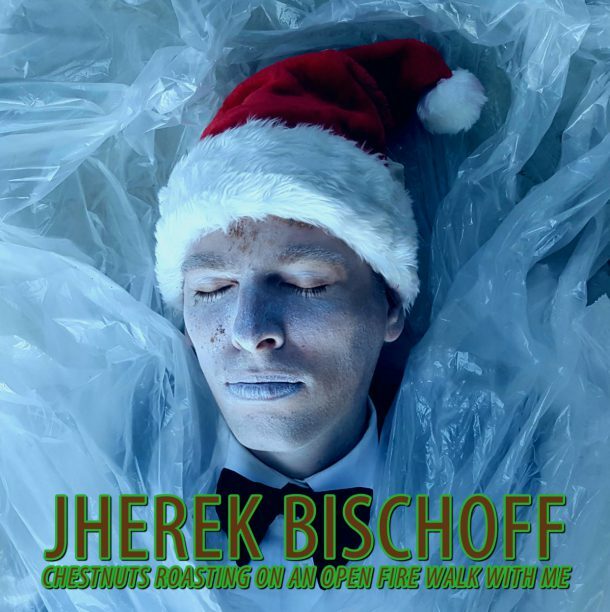 The six-song album, perfectly titled Chestnuts Roasting on an Open Fire Walk With Me, features the eponymous synths and slow jazz typical of the Twin Peaks soundtrack, only this time Bischoff adds some sleigh bells for a pinch of seasonal cheer. Ok, maybe not cheer, but certainly some BOB-style psychotic glee. Why endure your co-workers’ Auto-Tuned mess of a playlist at your work holiday party this week? Slip on Chestnuts Roasting on an Open Fire Walk With Me when nobody is watching, then zone out and sway just like Audrey Horne! Nobody understood her either! Better yet, just burst into tears–everyone else in Twin Peaks is doing it. Tags: Angelo Badalamenti, Chestnuts Roasting On An Open Fire Walk With Me, Christmas with the Palmers, David Lynch, Jherek Bischoff, Mark Frost, Twin Peaks, Twin Peaks Christmas, Twin Peaks: The Return. Bookmark the permalink.